Vigorous autumn gentian with abundant white-streaked purple trumpet flowers. Gentiana 'Lucerna' is a superb, vigorous hybrid with abundant, bright blue, flared trumpet flowers, streaked white down the throat. 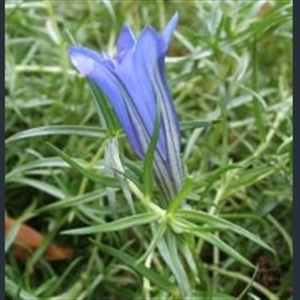 Deep green trailing foliage makes this a particularly valuable and striking gentian for ground cover. 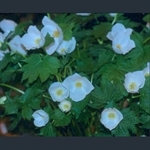 Large, silky white flowers over palmate leaves; great for a cooler climate. Large, deep purple flowers on this exceptionally robust form. Rarely seen plant with showy white flowers over dark green leaves.